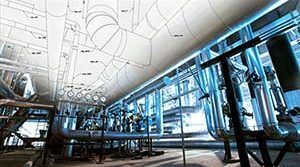 Cryogenic Insulated Supports with Acoustic Pads for a Project in Algeria | Piping Technology & Products, Inc. The operating temperature for these cryogenic shoes ranges from -290°F to 90°F. 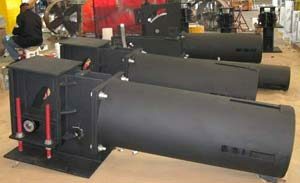 They are designed for 56″ diameter pipe and are capable of supporting loads up to 40,000 lb. The insulation is multi-layered comprised of 20 PCF polyurethane, a vapor barrier, an aluminum metal jacket, and acoustic pads. The acoustic pads are installed around the cold shoe to absorb vibration. 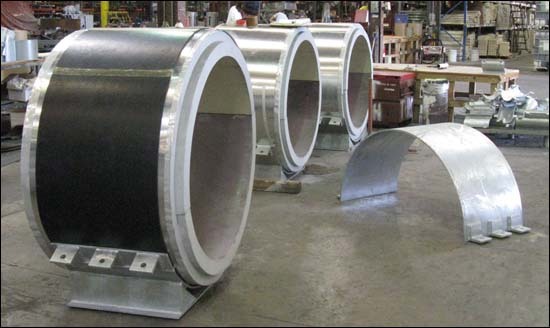 The base and bearing plates are fabricated from carbon steel.